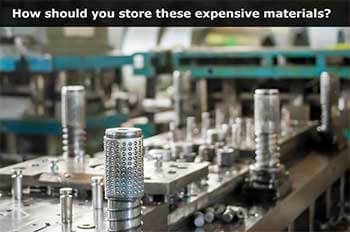 View photos, sizing and pricing for tool and die racks. 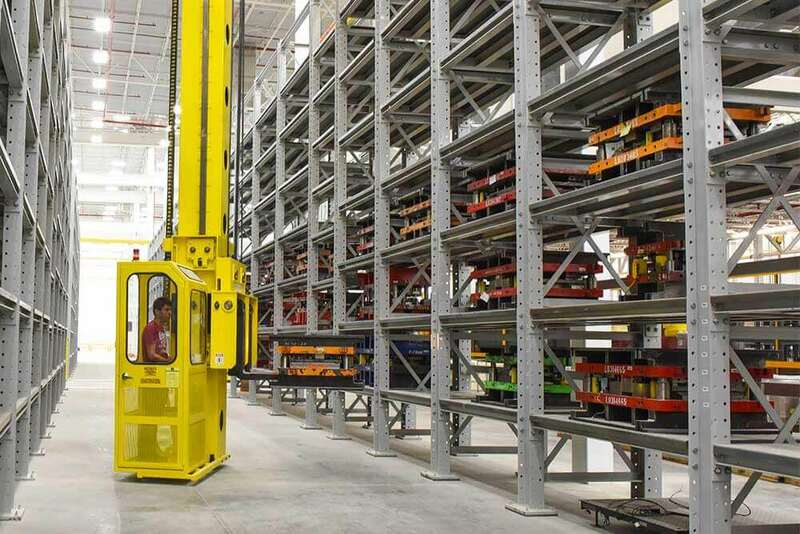 For more general information on racking, check out our Guide to Warehouse Rack Systems. 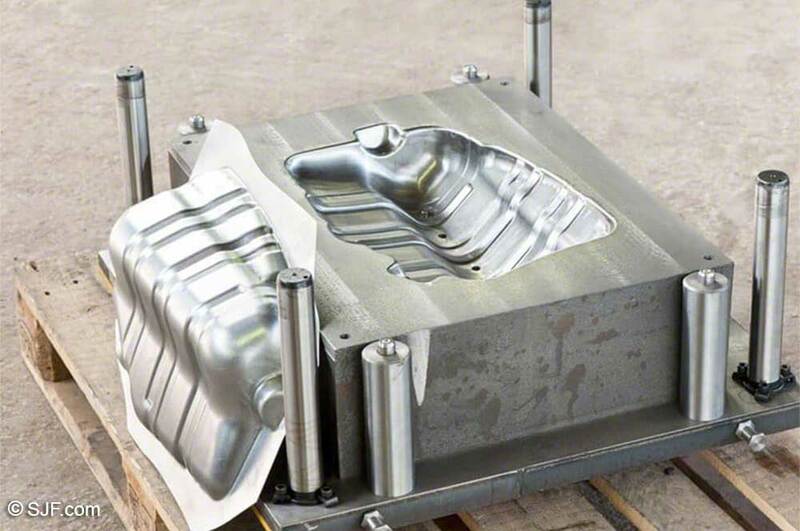 Tooling, die, molds, jogs and fixtures are known to be hard-to-handle and easy to damage. These items are challenging to store because of their size, weight and inherent inability to be stacked or nested. What do most companies do with such items? If you're like most companies you probably store them on the floor. 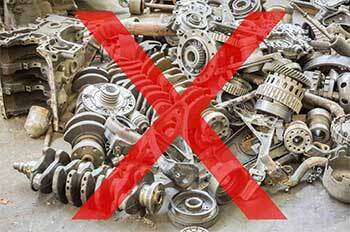 But storing items on the floor is not only a waste of valuable space, it's dangerous. Having items spewed haphazardly around the shop floor makes them susceptible to damage and can endanger employees who are constantly walking around and over them. 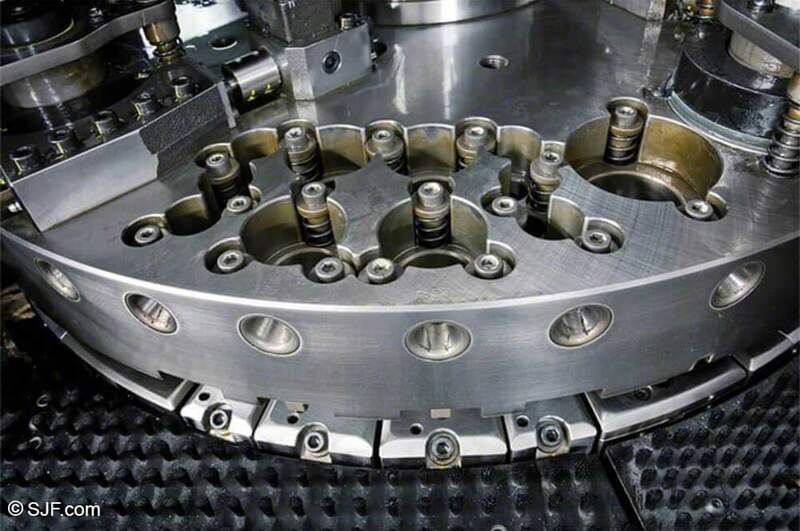 With tool and die storage racks, tooling is individually stored in an easy-to-access location that is secure, safe and ergonomically friendly to access. 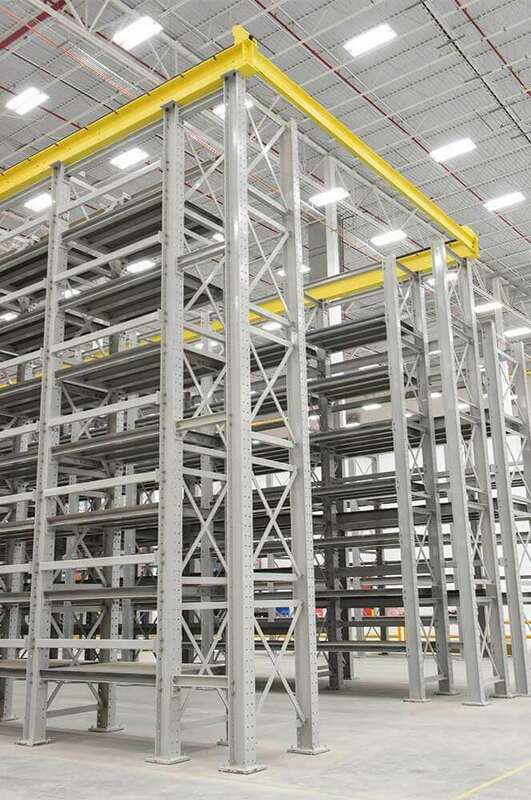 SJF's Tool & Die Racks provide vertical storage capacity on ergonomically friendly high-strength shelves designed to accommodate the odd shapes and hard to handle manufacturing equipment. 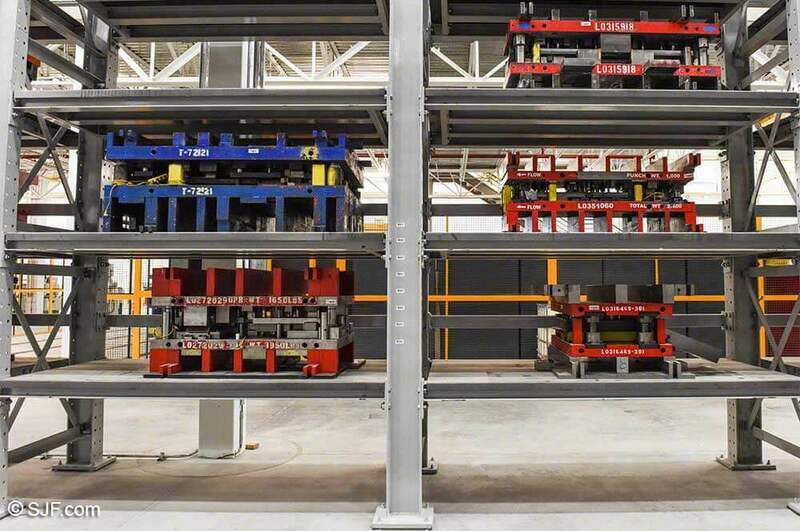 Each of our Tool & Die Storage Rack Systems are engineered with American-made parts using American Institute of Steel Construction (AISC) standards, which typically meets or exceeds Rack Manufacturer's Institute (RMI) standards. AISC standards were developed for heavy-duty structural steel construction projects, such as bridges and buildings. We do not source steel from China, which is a common shortcut for some other manufacturers. The stringent nature of these standards, coupled with our conservative approach to structural rack design, means you can be confident that your people and products are safe and secure. All rack beams and columns are manufactured using structural steel with wide flange beams and a 50 KSI minimum yield, offering greater strength and durability compared to roll-formed steel. 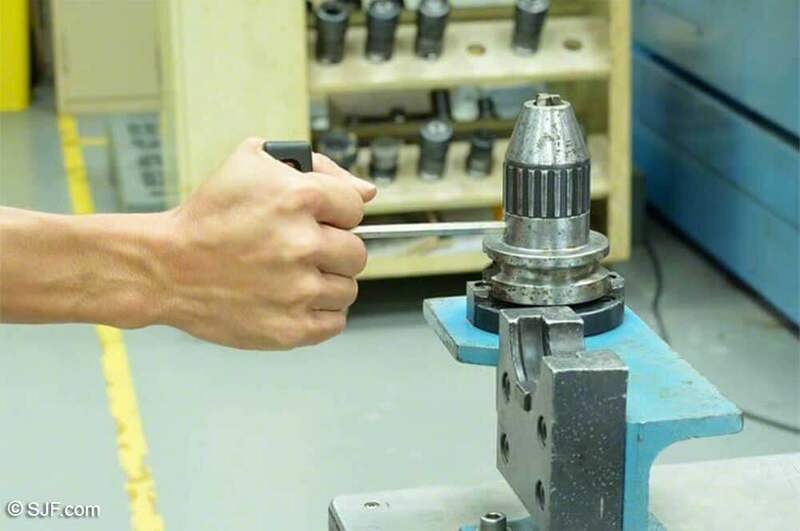 SJF is the only company of a handful of tool & die distributors selling rack systems that can meet this standard. These are the highest standards available for tool & die racks on the market today. AISC standards were developed to guide the design of large steel structures such as bridges and buildings. We realize that many of our clients are storing literally millions of dollars worth of equipment. A rack failure is simply not an option that can be tolerated. Building using the most stringent standards in structural rack design means you can be confident that equipment you purchase from SJF will keep both your people and your product safe and secure. Ergonomically friendly organized storage – Items are stored either on a choice of deck plates, open beams or fork entry bars for easy location and access. Greater safety – Engineered racks store tooling in a safe, easy to access manner reducing the risk of worker injuries. Reduced damage – Items are protected from accidental impact, dirt and debris. Frees up floor space with high density storage – Tool and die racks free up valuable floor space while maximizing warehouse storage density. All vertical and horizontal members are manufactured using hot rolled structural beams with a 50 KSI minimum yield. Shop and compare. 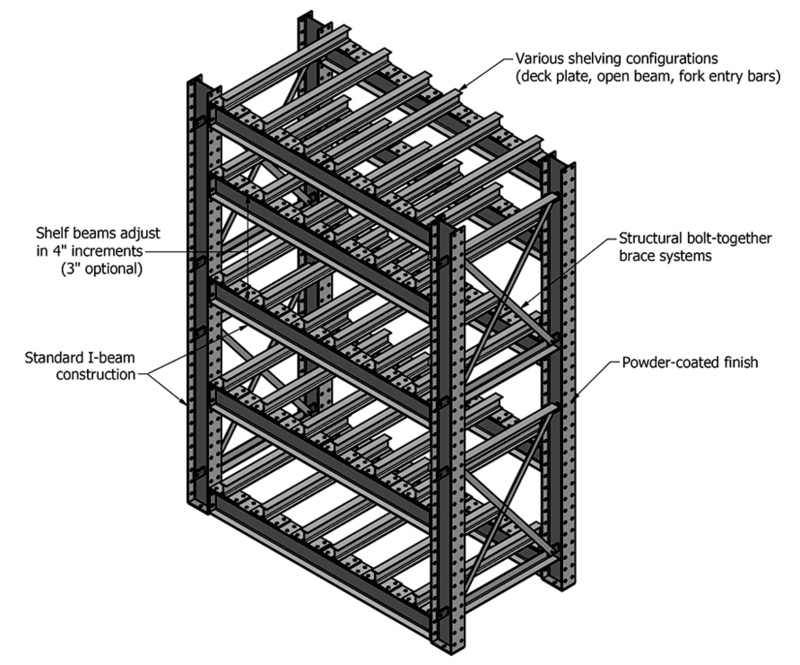 Structural steel offers greater strength and durability compared to roll-formed or lesser grade steel. 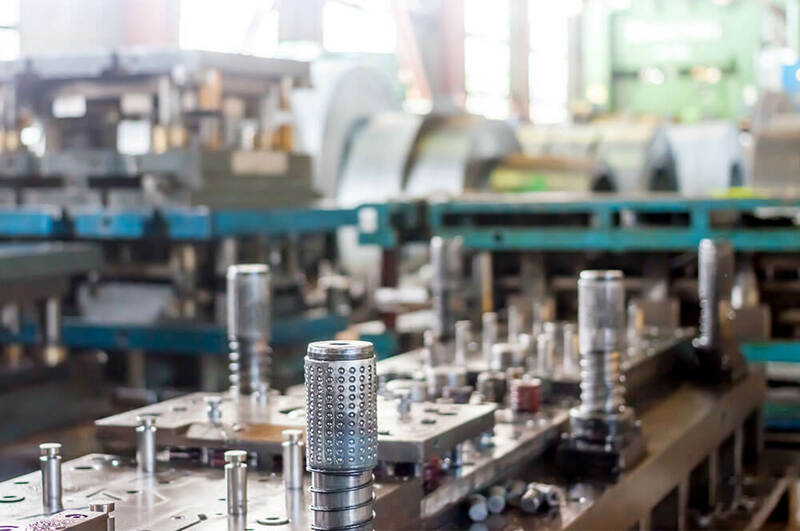 SJF’s tool & die rack systems are designed, engineered and manufactured to better resist damage from handling equipment while providing larger load capacities. I'm Interested - What Do I Do Next? Contact us using the form below. We will assign one of our systems specialists to your project. He will contact you to discuss a tool & die storage system specifically designed for you and your company. Your systems specialist will provide you with a written set of guidelines and options based on your requirements, budget and needs. At SJF, we pride ourselves on offering 21st century solutions to century old problems. Let us solve your storage problems so you can spend time doing what you do best - making product and making money. 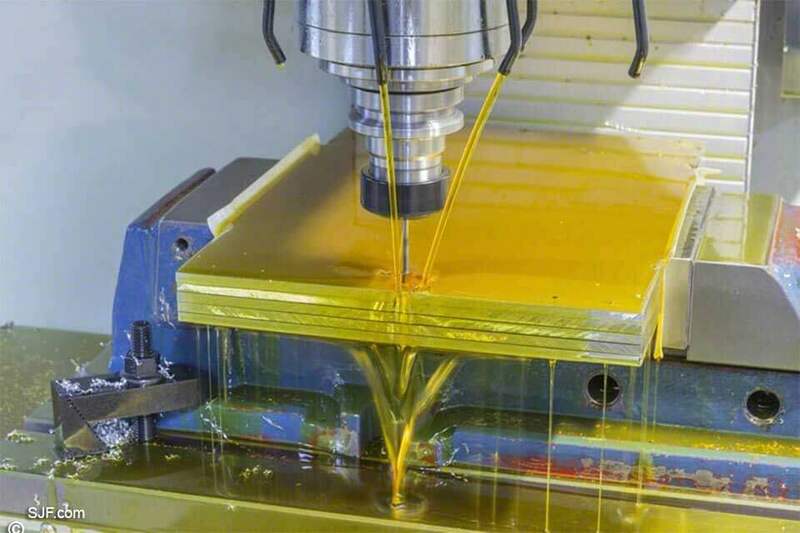 Please call (320) 485-4974 (direct sales line), (800) 598-5532 (toll-free) or Email Us for pricing, availability and lead times. If you don't see what you're looking for, our sales specialists can often find it. Pricing & availability subject to change without notice.